Amid speculation that New Jersey Gov. Chris Christie will enter the presidential race, there's been some talk about the weight issue. How does it affect his health? Would voters judge him harshly for it? (Jon Corzine tried and failed to make an issue of it, obliquely, in the 2009 gubernatorial election.) I prefer the historical approach. Who, besides William Howard Taft (300+ pounds)--who may or may not have gotten stuck in the White House bathtub but certainly arranged for a bigger one to be installed there--were America's fattest presidents? Before its demise, George magazine (where I was a contributing editor during the late 1990s) published a Book of Political Lists, edited by Blake Eskin, that listed the presidents according to body mass index. A BMI of 25 pegs you as overweight and a BMI of 30 as obese. The medical definition of "obese" is, I think, too unforgiving; it includes a lot of people whom we civilians would judge merely overweight. But at least the medical definition recognizes gradations of obesity. Below 35 is "class one." Thirty-five to 40 is "class two." And over 40 is "class three." You really don't want to be class three. There are two lessons here. The first is that even with Taft skewing the average upward, our fat presidents weren't very fat. 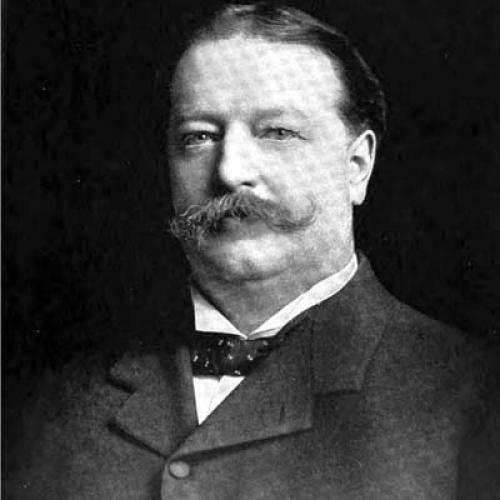 Besides Taft, the only one who threatened to break out of obesity class one was Grover Cleveland. The second lesson is that obesity is, if anything, a slight presidential plus, with Zachary Taylor pulling the ranking down, Theodore Roosevelt pushing it back up, and Grover Cleveland and William McKinley nudging it a little higher. The judgment of history, then, is that fat presidents, though not above average, are in the high range of average.